Critter Control has built a name as one of the premier wildlife control companies in Central Florida, including the Lake Hart area. Our effective yet humane rat removal strategies not only get rid of the nuisance critters in your home but also discourages them from returning in the future. Our solutions are not only efficient, but they are permanent as well, so you can rest easy knowing the rats are gone for good. Though not naturally aggressive towards humans, rats pose a problem for Lake Hart residents. Rats often enter homes and attics, chew up wiring, and build nests using attic insulation, leaving homeowners to deal with the aftermath. Rats sometimes introduce bacteria and the potential for disease into buildings as well. Rats are small enough to enter buildings through openings in vents and even roof soffits and underneath doors. 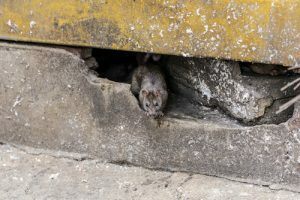 These behaviors alone are reasons to call a professional wildlife removal service to get rid of rats immediately. Are these noises scratching/scurrying noises? Do these noises occur early in the morning and/or early evening? Do you smell a foul, urine-like odor coming from anywhere inside your home? If any of these apply to you, consider calling our specialists at 407.295.7194. What sets Critter Control® apart from the competition is our total dedication to your rat problem. Not only will our technicians remove all unwanted rats from your home, but we will also permanently repair any damage or messes left in their wake to help ensure they don’t find their way back in. If you have a rat problem on your hands, contact us today for our professional rat removal solutions before damage is done. For questions regarding our services or to schedule a consultation, call us today at 407.295.7194.